That may not be entirely fair. The last two entries in Sega's kart racing franchise have been well-received on consoles, even putting aside the question of why the world's fastest hedgehog needs any kind of vehicle at all when he's racing. Maybe he just really wants some cup holders for that 44oz soda, I dunno. 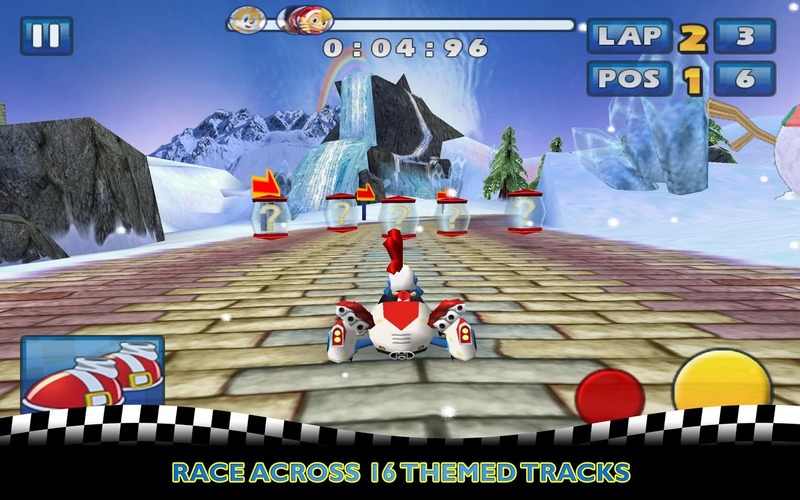 Sonic & SEGA All-Stars Racing is a mobile release of the original SEGA kart racer from 2010, not the more recent Sonic All Star Racing Transformed. 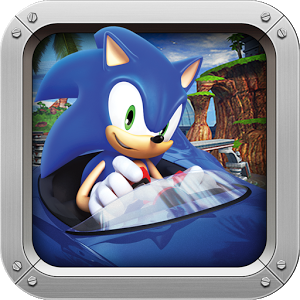 It came out for iOS more than two years ago - what's the holdup, SEGA? 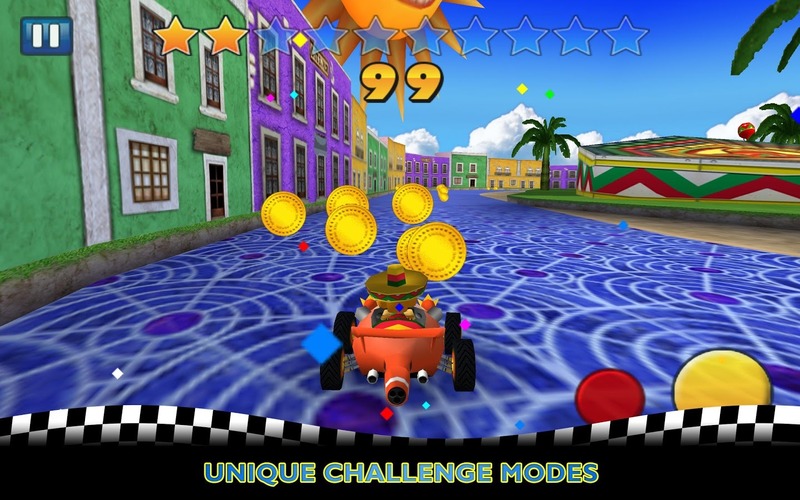 Sonic & SEGA All-Stars Racing features 13 SEGA characters that you know and possibly love: I can recognize Sonic, Knuckles, Tails, Shadow, Dr. Robotnik (or "Eggman," if you're not old enough to drive yet), Amigo from Samba De Amigo, Billy Hatcher, B.D. 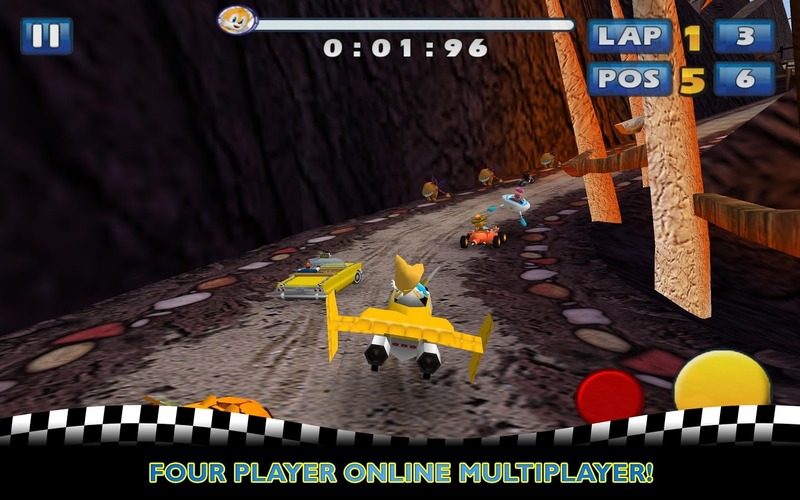 Joe from Crazy Taxi, Ulala from Space Channel 5, Ryo Hazuki from Shenmue (who should really be driving a forklift instead of a motorcycle), Ai Ai from Super Monkey Ball, and one of those little Chu Chu Rocket mice. 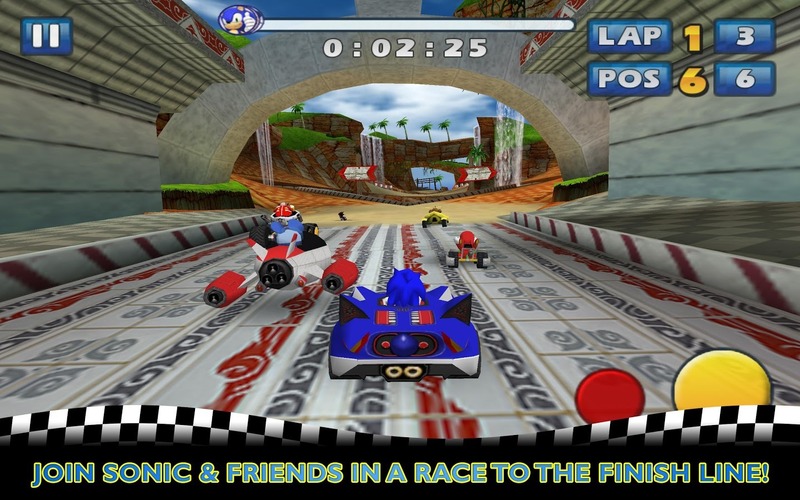 If you were a SEGA fan during the Dreamcast days you'll be well-served by the roster and the selection of themed tracks. Graphics are decent, but not amazing - the mobile version appears to be a cleaned-up game based on the Nintendo DS release (which was pretty well-received on its own). 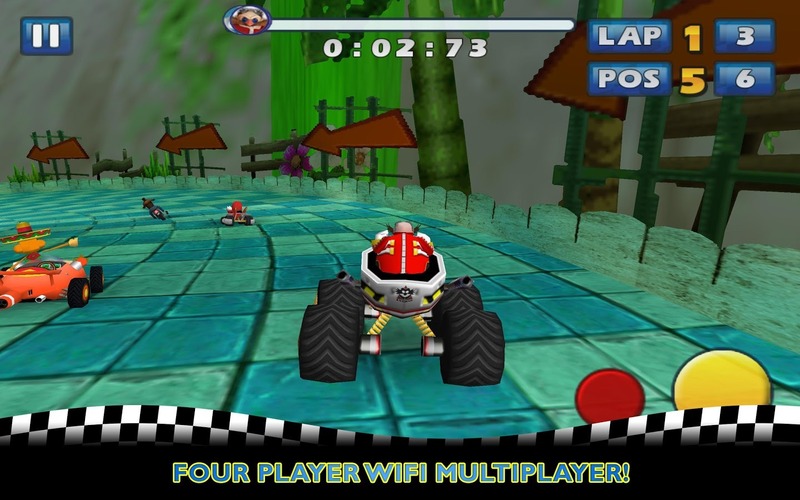 You've got all the standards of the kart racing genre at your disposal, including wacky tracks, powerups, environmental hazards, and gobs and gobs od personality. 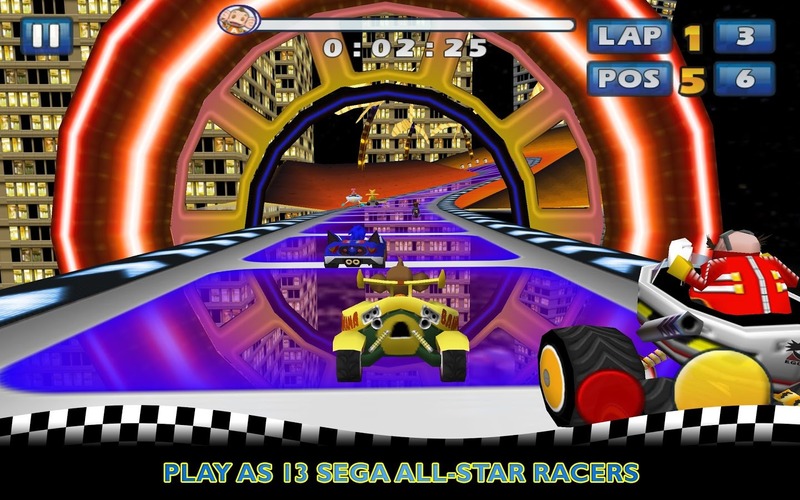 If you're looking for a breakneck tour through SEGA's intellectual property, this game should do nicely, and it includes online 4-player races to boot. Not bad for two bucks.